Former model…proud father…one of the youngest CEOs in – and the current poster boy of – the aviation industry. 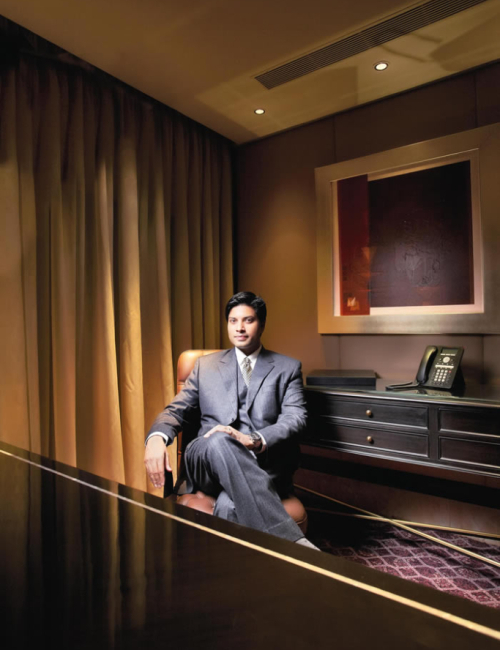 Recently anointed to the hot seat, 32-year-old Mittu Chandilya returned to his homeland to pilot AirAsia India. He made waves in aviation circles, grabbing instant eyeballs when, at 32, he became one of the youngest CEOs in the aviation industry. So, I schedule an appointment with Mittu Chandilya in his hometown, Chennai. The model-turned CEO, AirAsia India, promises to meet at the end of a long working day. At sundown, I am in a five-star, waiting for the Chennai-born head honcho, who is poised to test his wings in his new domain. He strides in and, attired in a formal suit, the now 33-year-old Chandilya is good-looking enough to give any top model or star a run for their money. Taking the compliment, and my reaction to his age, in his stride, Chandilya plunges into a freewheeling chat about his journey to the hot seat. The newly-minted CEO headed homeward, unperturbed by the new domain he had wandered into. “I’m not a stranger to challenges. Hailing from a consulting background, I know what makes a business leader successful. And even though I am not from aviation, I’ve actually been working with the industry for the last 10 years. What I bring to the table though is a fresh perspective that is always going to push our team strategically – and I have a ‘Can do’ attitude.